Zunos Special Links and Deep links in messages allows Administrators to add links to a specific area of the Zunos iOS App or WebApp. When users tap on the link in the message, they will be redirected to the chosen destination within Zunos. 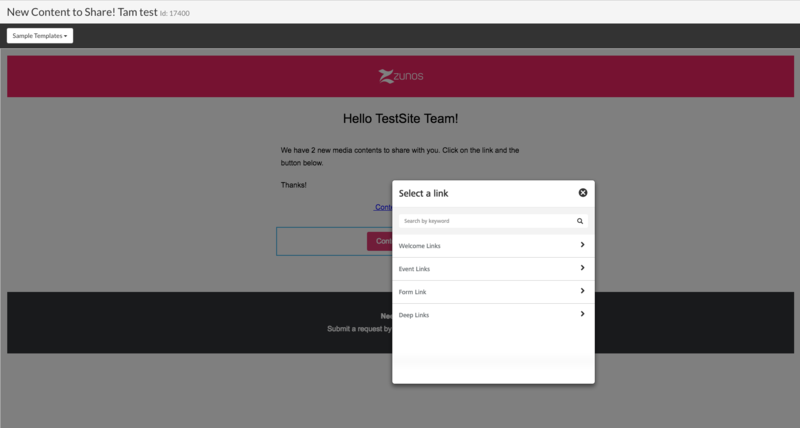 For an example, when Zunos Administrators need to inform users about new content or a new quiz in Zunos, they can use the Special Links' option to insert a deep link to that content or quiz directly into the message text. Deep links can also be added to buttons in the message too. Note: Special Links will only work when sent directly from Zunos as a message or an email. They will not work when send as a Test Message or if they are inserted into a PDF or other type of document.